Today we are pleased to showcase projects from our first challenge winner, Leigh Penner! You know how to grab my attention? Great overall design, great use of colors and layout, and clear sharp pictures. Leigh's got it all down! I knew she was talented, but when she sent me the new projects I was blown away! Let's get to know Leigh a little better, shall we? Leigh is here today to show you her projects using our new stamps Cosmic Stars and Starry Night; a stampy match made in heaven! Isn't this card darling? I love the white embossed star pattern over black cardstock. (I attempted to do that this month, but my clear and white embossing powders were mixed together. The result is not good!) I love the yellow and black color combo and she balanced it out very nicely! 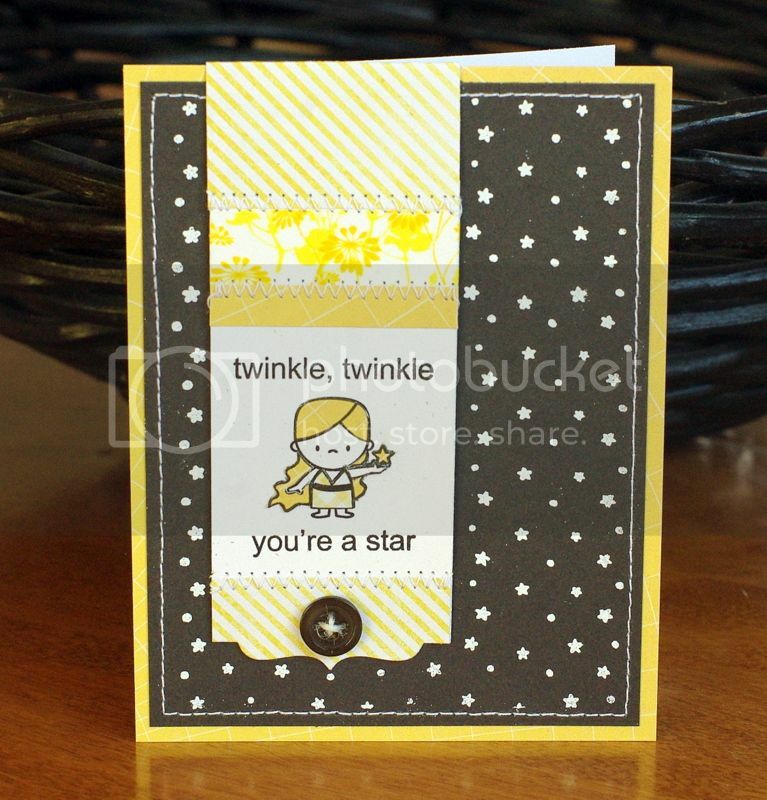 Starry Night has so many sentiments and many of them are easy to combine! Don't lie, you were amply impressed with Leigh today too! :) Go ahead, sing her praises and leave her some love! She'll be back tomorrow to wow you some more! Oh my, Leigh, this are fantastic!!! Way to rock it, Leigh! LOVE! I told Leigh that if I hadn't already ordered these sets, her samples today would have made me do it in a heartbeat. Simply adorable! Those cards are too cute, I love the colors! OH MY OH MY! I absolutely love that second card! SO FUN!